Hillary Clinton will focus on increasing middle-class income in Monday speech. 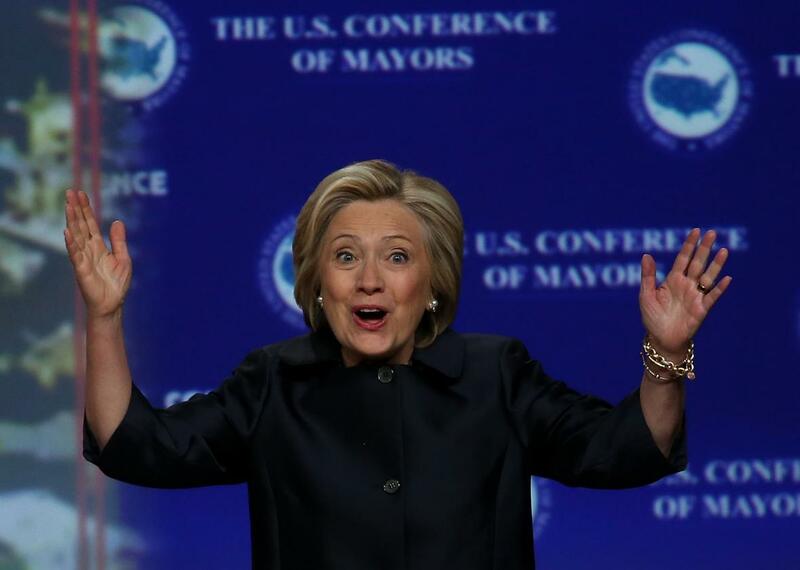 Hillary Clinton speaks during the 2015 United States Conference of Mayors on June 20, 2015 in San Francisco, California. Hillary Clinton will begin to outline her economic agenda on Monday, when she is scheduled to make clear that her campaign will revolve around how to increase incomes for middle-class Americans. Increasing the wages of working-class Americans has emerged as the “defining economic challenge of our time,” a Clinton aide said, according to the New York Times. Campaign staffers gave details of the speech to the press, noting that Clinton would advocate for paid family medical leave, a higher minimum wage, and more profit-sharing in private companies. The speech will come at a time when the more left-leaning Democrats are making their voices heard by backing Bernie Sanders. But the preview of Monday’s speech makes it clear Clinton “will strike less of a rabble-rousing tone than Sanders, challenging “top-down” Republican policies without suggesting that capitalism is inherently rigged against families on the bottom,” notes Politico. Rather than going after any intraparty challenger though, Clinton is expected to say that while Republicans advocate growing the economy, they don’t care whether that means middle-class families will be better off. “She firmly believes that yes, we have to grow, but we have to grow together,” a campaign official said, according to the Wall Street Journal. Clinton’s speech is largely expected to be more about vision than strategy, with the specifics on how to turn proposals into reality expected to be rolled out over the next few months.